Wood Carving Chisel Set, 10 pc. 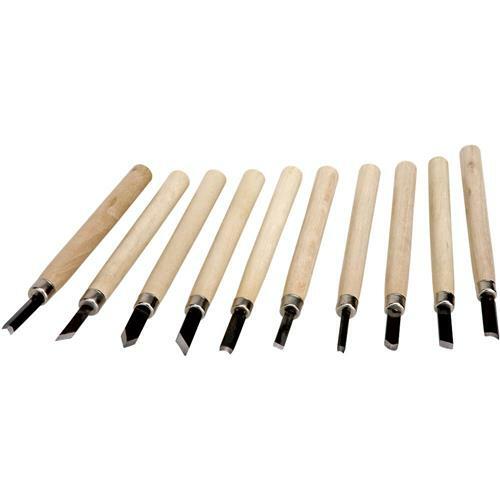 Grizzly H7705 - Wood Carving Chisel Set, 10 pc. Measuring 5-3/8" long, these Carving Chisels with natural hardwood handles and durable steel blades are perfect for all precision carving including chip carving. The set includes a variety of profiles including straight, skew and gouge chisels. Sharpened edges require honing before use.